This page is intended as a resource for those engaged in writing archaeological fieldwork reports. It was requested at a Writer’s Workshop arranged by ALGAO East and reflects the topics discussed that day. The page will evolve as further material is added, helped by future workshops and by your own suggestions. Have you read any good reports lately? Come across any ideas or resources that would be useful here? Send them in. If you have any ideas for future workshops to address, contact the managing editor. How do you learn how to write? Only by doing it. Writing is hard work and there are no shortcuts — so says Brian Fagan in his recent book Writing Archaeology. Fagan is an academic and a popular author of archaeology books. 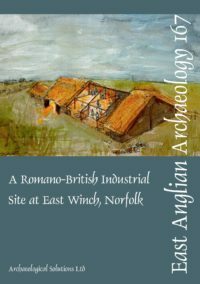 This is a practical guide for archaeologists wanting to write for wider audiences but it contains much useful advice for specialist writers too, including further details of books on academic writing, archaeological writing and illustration, archaeological reference. What is archaeological publishing and how did the traditional fieldwork report evolve? This is very well covered in From the Ground Up (also known as the PUNS report), published by the CBA in 2003. As well as providing an excellent historical summary of archaeological publication from Cranborne Chase to grey literature, the report examines how archaeological publications are used by readers and what readers expect from them. It makes an interesting read and it concludes with an important set of recommendations. Are there forms of archaeological publication that depart from the ‘orthodox model’ report? Try some of the links and references below and see what you think works best. MoLAS monographs — a series of integrated, synthetic reports pioneered in 1997, under products/publications on MoLAS web site. YAT Online Publications — The Archaeology of York web series, under publications on the YAT web site. What makes a good report? Look out for favourable reviews in the major periodicals. The Prehistoric Society now posts reviews online, see for instance Alex Gibson’s recent review of The Moon and the Bonfire by Richard Bradley and Kilellan Farm, Ardnave, Islay edited by Anna Ritchie; also Patrick Clay’s review of EAA 109 Archaeology and Environment of the Etton Landscape by Charles French and Francis Pryor. References for printed reviews are given below. Bad reviews will of course give you a clear idea of what to avoid but you must seek these out for yourselves! OUDCE runs professional training courses sponsored by the Archaeological Training Forum, IFA and IHBC. Look out for courses on Post-Excavation Assessment and Managing Publication. ALGAO East is running a series of one-day Writer’s Workshops in the region where visiting tutors address small groups on different aspects of archaeological publication. Anyone involved in writing reports or managing post-excavation and publication is welcome to attend. The subjects covered can be influenced by you. To register an interest in future workshops or send in your suggestions, contact the managing editor.